The Vizsla is a fascinating breed. It is an exuberant and active dog that doubles up as a devoted companion and a versatile, light-footed hunter’s aid. Easily recognizable by its golden rust coat, Vizslas stand between 21 and 24 inches at the shoulder and weigh between 44 and 60 pounds. They have a rugged but elegant look and long silky ears which frame a loving yet sensitive facial expression. Being an active and athletic breed, these hunting dogs excel at various sports and activities and, as they are only too eager to please their humans, they will ensure that they do their very best. And the best part is that they make great jogging and biking companions too. Nutrition is an important part of any dog’s growth and development. Therefore, you need to ensure that you select the best diet for your pooch. Luckily, most Vizslas are good eaters and should do quite well on a high-quality dog food regardless of whether it is home prepared or commercially manufactured. But you have to ensure that the diet is appropriate to the dog’s age. For instance, a young active dog will require four to five cups of high-calorie food each day whereas an older dog will require a lot less because it is not as active. Some dogs are also quite susceptible to becoming obese so it is important to ensure that you don’t feed them overly fatty foods. It is good practice to schedule their feeding as opposed to free feeding them. As part of a healthy diet, you should also ensure that they sip some clean fresh water whenever they can. Treats and human foods safe for dogs are also great but they should be fed with moderation. Binging on too many of them can cause obesity. Grooming a Vizslas is pretty easy, especially Vizsla puppies. These hunting dogs are a short-haired breed that does exceptionally well with regular grooming and occasional baths with dog soap and lukewarm water - but you still much watch out for fleas. That means you don’t have to worry when they roll in the dirt and get dirty. Since Vizslas shed hair quite a bit, you need to ensure that you use a rubber grooming brush occasionally to remove any loose hair. Moreover, you also need to keep their toenails short and clean and check to ensure that there’s no build up or irritation on their ears. It is also recommended as part of healthy practice that you clean their teeth on a regular basis using dog toothpaste. Dogs are generally very active and so they need all the exercise they can get. 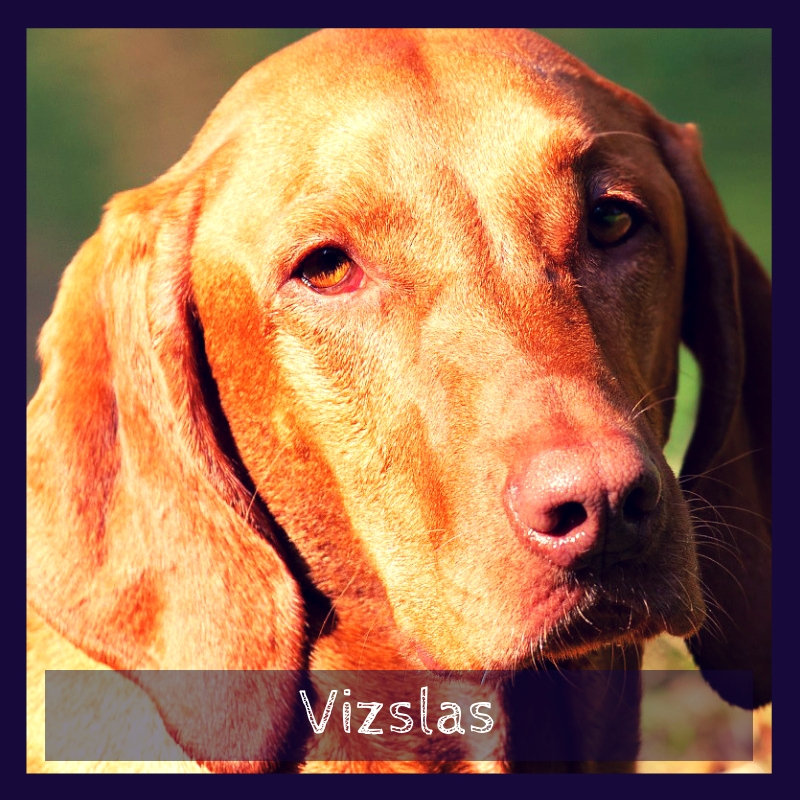 And the Vizslas breed is not an exception. Options for exercise include a daily brisk 30-minute walk, fetch games, jogging, and running, though a little less for Vizsla puppies. 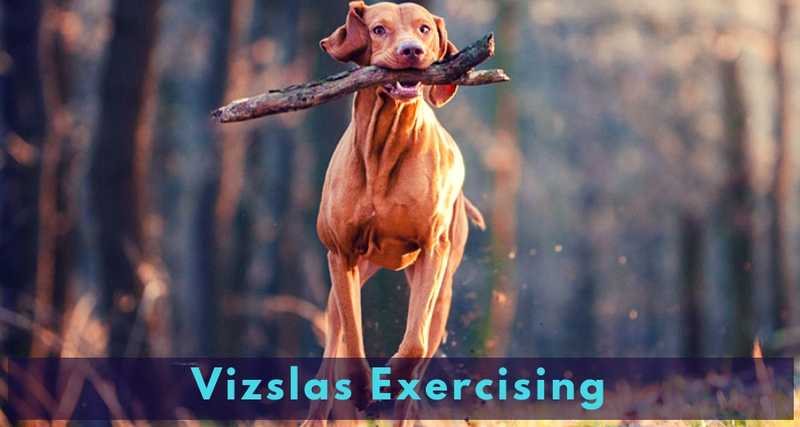 Apart from physical exercises, Vizslas also need a lot of mental exercises to ensure that they have a holistic development. Be careful, however, about exhausting young dogs, especially when it comes to running long distances at least until they are 18 to 24 months old. It is important to train your Vizsla dog when it is young. Yes, this dog breed is intelligent but they are also very curious and highly manipulative. So, if left idle with nothing to do, they can be unruly and start showing behavioral problems. Fortunately, they are very active and thrive on attention seeking so they’ll only be too happy to do training as long as they receive the attention they are seeking. Be creative, though, and include field trials, barn hunts, and hunting tests to the regular conformation, rally, dock diving, agility, obedience, scent work, lure coursing and tracking classes to keep the sessions fun and varied. If you don’t those behavioral problems could return. Generally, you shouldn’t have trouble training them as they are people pleasers and thrive on the attention they get when showing off their prowess. Emotional Support Dogs: Is This Breed Capable? Yes - vizslas make great emotional support canines. They are sweet, affectionate, loving, and love spending time with their humans. They also make great jogging and biking buddies—all of which are great to help you emotionally and physically. 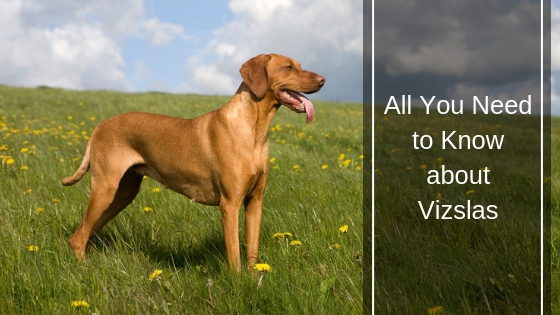 Apart from a few minor problems such as seasonal allergies, hip dysplasia, eye disorders, and entropion, the Vizsla dog is generally a healthy breed and can live 12 to 15 years if well taken care of. To get yourself a healthy pooch, it helps to do your homework ahead of time so as to reduce the odds of picking a sickly pup. Plus, it is important to ensure that you adopt your pooch from a responsible and reputable breeder committed to raising healthy breeds. Easy to groom and highly trainable, this wonderful dog breed makes the perfect pet for people who like to go out hunting and exercising. It has a bubbly personality and elegant features that make it the perfect pet. It also has short silky hair that is pretty easy to clean and only requires occasional baths every now and then when it gets dirty. However, you might want to be careful about leaving it alone for long periods of time as it hates being alone and can result in unruly behavior as a result.